Small, lightweight bows. 1/2 - 1 inch wide. 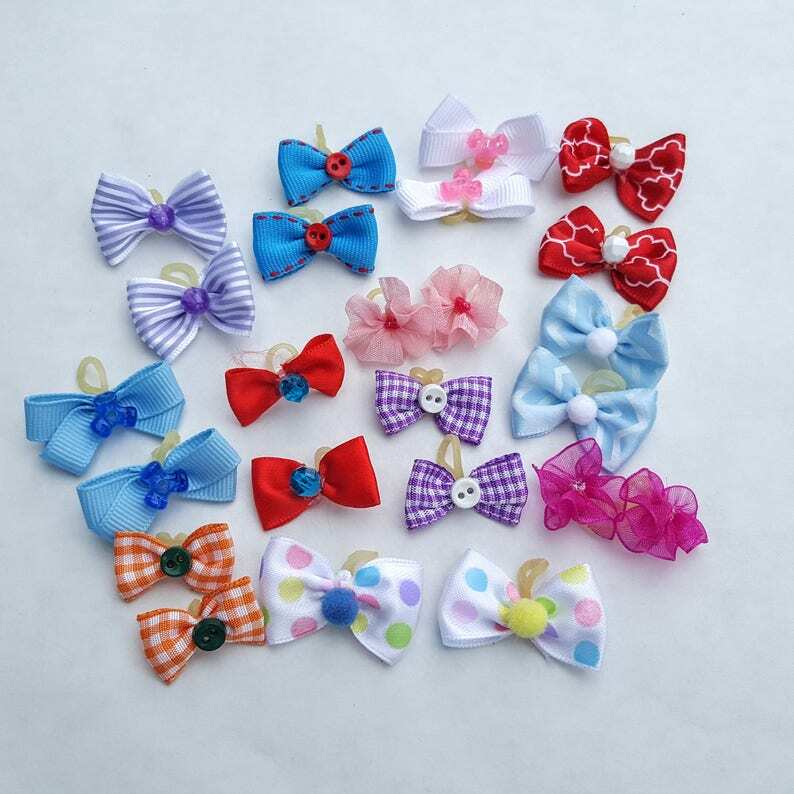 These cute bows are perfect for puppies, Yorkies, and other small dogs. Each bow is hand tied with a professional quality 3/8" heavy latex band. A small pompom, doodad, or dimensional paint is securely glued on for that added bling. I use only satin, grosgrain, organza, or cotton ribbon (no cheap acetate). The photo is an example of the bows not an exact photo. I sell so many I can't update fast enough. 12 pairs, 24 bows - assorted styles and colors. Want a special colors? Special requests are welcome. Just convo me. Adorable and rec'd very fast! Soooo cute! They are perfect for toy sized dogs!